From the heart of the fashion capital Milan, MSGM Kids brings you a hip collection of forward-thinking streetwear that'll make your little one the most on-trend kid in the gang. Crafted in Italy, these black slip-on sneakers from MSGM Kids feature a round toe, an ankle length, a pull tab at the rear and a white rubber sole. As they lead such active lives, boys are practically living in their sneakers. If your boy’s latest pair is worn out or you are simply looking for a new pair to add to their collection, you have come to the right place. 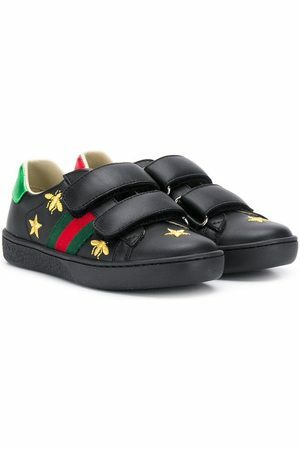 Shop this category for the latest boy’s sneakers from a wide range of brands and shops. 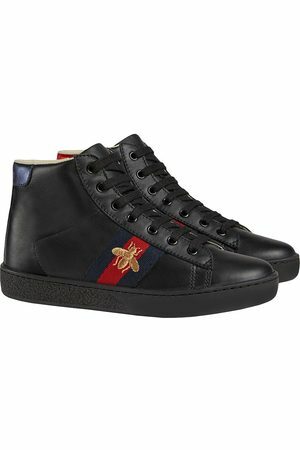 Find on-trend boy’s trainers at Fashiola.com.au.